With more than 1,800 drawings, diagrams and photos, this authoritative guide encompasses the whole art and craft of woodworking. Designed to instruct and inspire every woodworker from the beginner to the most exacting expert, it has become a classic. It includes a discussion of all the principal hardwoods and softwoods, how to choose and use hand tools, detailed information on every woodworking technique--jointing, bonding, fastening, laminating, and much more. 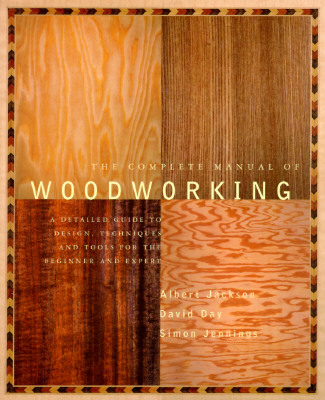 Albert Jackson and David Day are the bestselling authors of numerous DIY and woodworking titles.